We need to rethink our approach to oppression in Chinese politics. Modern China has a long history of grassroots activism and dissent, often ignored in favour of a top-down analysis of oppression. For those concerned about human rights in China, the past few years can be demoralising. Since Xi Jinping’s rise to power in 2013, China has gone backwards on practically all human rights issues. In 2016, the government passed a new counter terror law to legitimise the infringement of religious freedom in Xinjiang and Tibet. In 2017, with the help of Apple and Google, the Ministry of Industry and Information Technology cracked down on the use of Virtual Private Networks (VPNs), a technology allowing citizens to bypass internet censorship and access banned websites like Facebook, Twitter and YouTube. Also in 2017, homosexuality was labelled an “abnormal sexual lifestyle” and all depictions of it were eradicated from the internet. 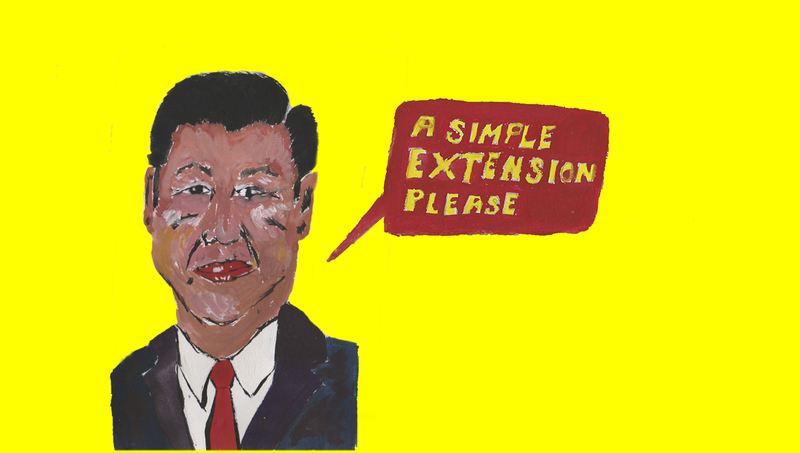 And in March this year, China’s rubber-stamp congress abolished constitutional term limits on the president, effectively allowing Xi to rule for life. Looking at things this way, the situation seems dismal. But adopting a top-down approach—that is, analysing China by looking at its laws, party leadership and political structures—is a misleading way to understand Chinese politics. Doing so glosses over important nuances and overlooks the actual driving forces of human rights progress in authoritarian places like China: courageous individuals. These are human rights activists, lawyers and political dissidents, who are standing up to an oppressive regime to demand freedom and equality, in the face of pressure from the government and considerable personal risk. That helps explain why cracking down on critics has been routine for the government. 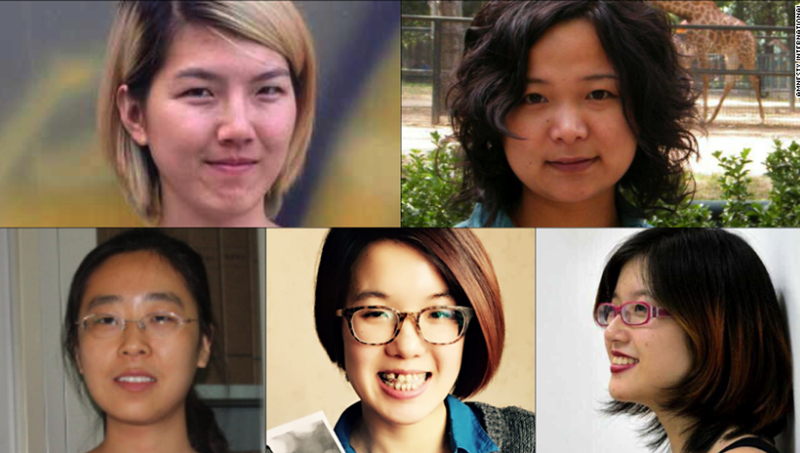 In 2015, five women’s rights activists (Li Tingting, Wang Man, Wei Tingting, Wu Rongrong and Zheng Churan—it is important to say their names) were detained for distributing leaflets that highlighted the issue of sexual harassment on public transport. Their arrests came days before International Women’s Day and coincided with the 20th anniversary of the World Conference on Women in Beijing (the conference where the then-first lady Hillary Clinton pronounced “women’s rights are human rights”). The arrests sparked outcry at home and abroad. For days, a social media campaign, #freethefive, was trending on Twitter. And remarkably, women, students and workers’ organizations from mainland China openly advocated for the release of the five. Students and graduates from Sun Yat-sen University (a public university in southern China) signed a petition in support of the imprisoned activists, in spite of opposition from school officials and the government. On 9 July the same year, hundreds of human rights lawyers and activists were arrested overnight—an incident came to be known as the ‘709 crackdown’. According to Human Rights Watch, many of the detainees were tortured and in some cases coerced to confess their ‘crimes’ on state television. China Human Rights Lawyers Concern Group, a Hong Kong-based rights organisation, estimated that at least 321 lawyers, law firm staff, human right activists and their family members were arrested or are still missing. Since then some have been sentenced to long jail terms, while most are still awaiting a sentence. There is only so long activists can wait. In July last year, one of the most high-profile Chinese dissidents and Nobel Peace Prize laureate Liu Xiaobo died while serving an 11-year prison sentence for ‘inciting subversion’. In November, Yang Tongyan, a veteran Chinese dissident who had nearly completed a 12-year prison sentence for ‘subversion’ has died on medical parole. Fully aware of what might be awaiting them, more and more people are resolutely joining the fight. They fight for the release of those unlawfully arrested during the 709 crackdown and they fight for political freedom and minority rights. They are ready to let the government know dissent is alive and thriving. This also highlights another danger of buying into the top-down approach to Chinese politics. It often gives rise to pessimism, the feeling that there is nothing we can do. This will eventually result in political apathy. It is undeniable that there is little citizens of the West can do to change the trajectory of Chinese leadership. There is, however, a lot that can be down once we view these issues through a bottom-up lens. We can support the individuals fighting for change on the ground. Days after the constitutional change was announced, Chinese diasporas and students overseas organised the #notmypresident campaign, which condemns the removal of presidential term limits. The organisers encourage people, Chinese or otherwise, to download posters with the text “Not my president” and “I disagree”, and then put them up on university campuses. Most importantly, we should support a frank discussion on China that moves away from the current trade-first approach to instead focus on human rights and political freedom. We also need to create an environment where people feel comfortable pointing out the failures of foreign government. It is perhaps worth remembering that the Chinese government—which is quick to play the race card, cry McCarthyism and Sinophobia overseas—is the same government that stifles political discourses on race and minority rights at home. And the task of fostering a free discussion on China has never been more urgent. Last year, Chongyi Feng, a UTS Professor on China Studies and an Australian permanent resident, was detained in China for his critical views.